The first step in creating your web site is our free no obligation consultation. This allows us to gain insight and understanding of your company or organizations' internet web site and marketing needs. This process may be completed via E-mail, phone, or in person. 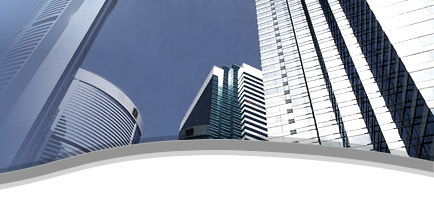 We will than submit a custom report detailing all aspects of your potential web site design. Should you decide to accept our proposal, we would then proceed to step two. In step two, we will create and design a web site to your specifications. We can use your company's artwork (logo) from existing advertising or brochures. We can also custom design artwork to meet your specific needs. Throughout the design process you may view your web site via the internet, we will send you your personal password. This enables you to follow the development of your web site from your office or home computer. It will also enable you to provide feedback to us regarding the layout or any changes you may desire. This process allows us to work together and shape your web site to meet your company's specific needs and goals. The third step in creating your web site is to choose an available domain name for your business. (www.yourcompany.com) Your web site can be accessed when a viewer types in your domain name, for instance; "www.perfectwebsites.com". You may apply for domain name at anytime if desired. The fourth step in creating your web site after your approval of the design and look, is to obtain a website host on a web server of your choice. We offer several excellent packages which include free domain name registration, web site hosting, or your own hosting. A server is a special computer that allows visitors from around the world to access and view your web site. All web sites are stored on a server which is known as web site hosting. Once your web site information has been placed on a server, your company will then be on the world wide web for millions to view. The fifth step in creating your web site is to submit your web site to several search engines. This allows us to promote and market your web site by listing it on the Internet. It is the least expensive and most effective way of advertising your business. When a potential customer is seeking your product or service it is usually found through a search engine which checks a list of words the customer has entered, then the search engine returns a list of web sites for users to visit. We offer our customers several premium submission plans. We also offer low-cost maintenance plans that will enable you to keep your company's web site up to date with your current products and/or service information. The maintenance plans are available to any current or new web site owners. We also offer Web Site Makeovers. If you already have a web site but are not happy with it, we offer web site redesign services. We will evaluate your current site and then propose changes that we would make to the layout, design, content, and/or functionality of your site. 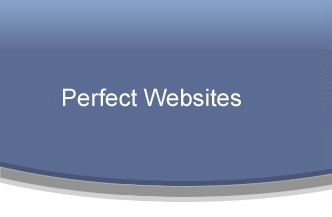 If you have any questions that we can help answer for you, please contact us by E-mail, info@perfectwebsites.com or phone at: (416) 869-1414. We look forward to hearing from you.